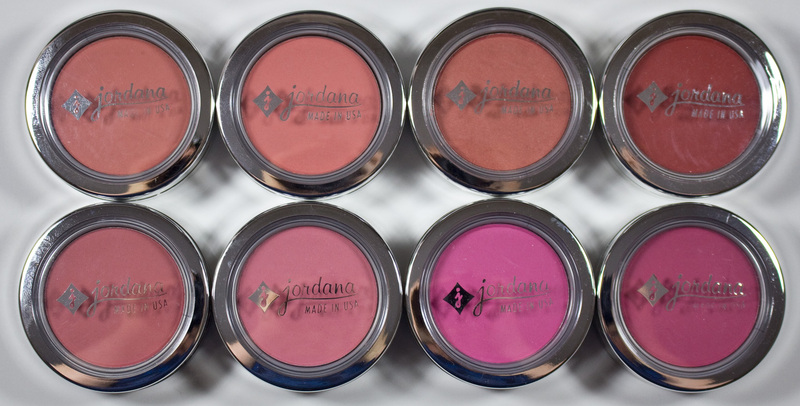 Jordana Powder Blush in 18 Touch of Pink, 43 Peach Blossom, 38 Coral Sandy Beach, 12 Redwood, 42 Rich Sorbet, 49 Passion Rose, 48 Pink Beauty, & 41 Hot Rasberry. These Jordana Powder Blush retail for $2.99US for 2.2g of product. These formula for all these matte shades are smooth to work but a bit stiff in the pan, they do not go on patchy however but rather sheerly at first but can be built up. 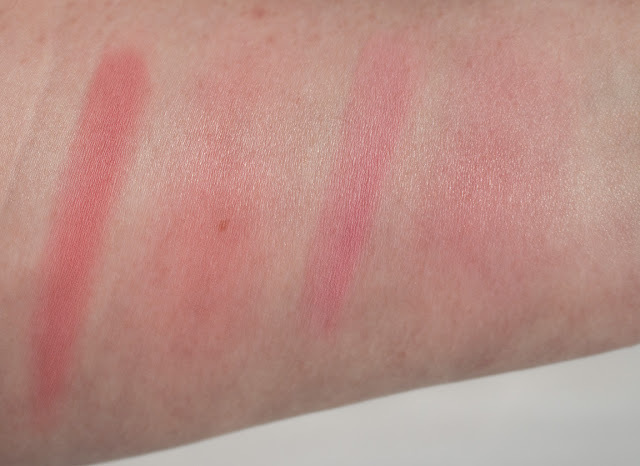 The few satin shades are less dry in texture in the pan and nicely pigmented. 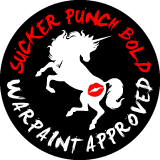 18 Touch of Pink is a pale warm pink with a satin finish. 43 Peach Blossom is a is a bright light warm pink with a matte finish. 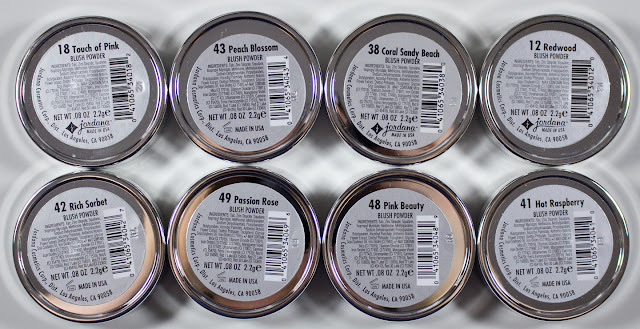 38 Coral Sandy Beach is a warm peach/pink with a satin finish and gold micro shimmer. 12 Redwood is a warm brick pink with a satin finish. 42 Rich Sorbet is a neutral pink with a matte finish. 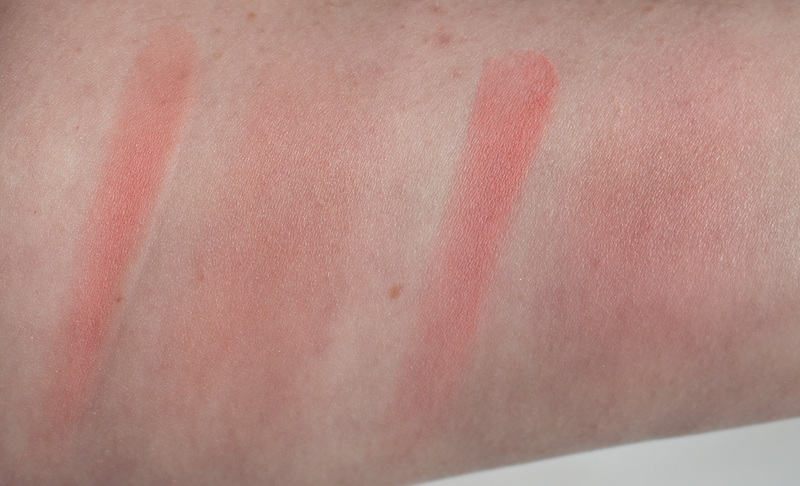 49 Passion Rose is a cool light pink with a matte finish. 48 Pink Beauty is a hot pink with a matte finish. 41 Hot Rasberry is a vibrant berry pink with a matte finish. Wear: I get 7+ hours on average. 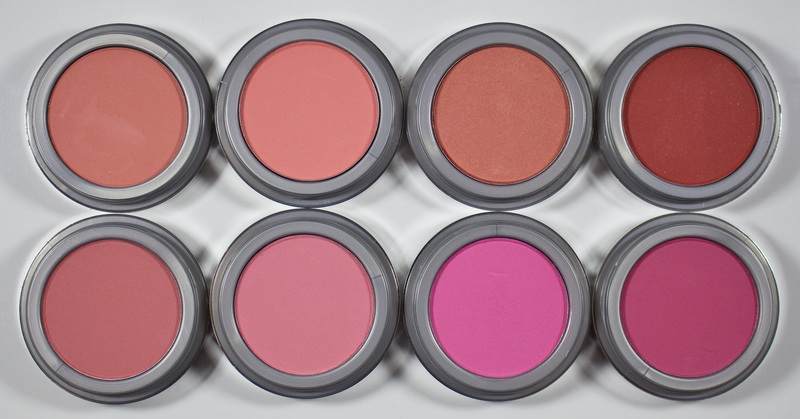 Packaging: Simple pan blushes housed in a tray with an outer jar to hold the tray with a lid. 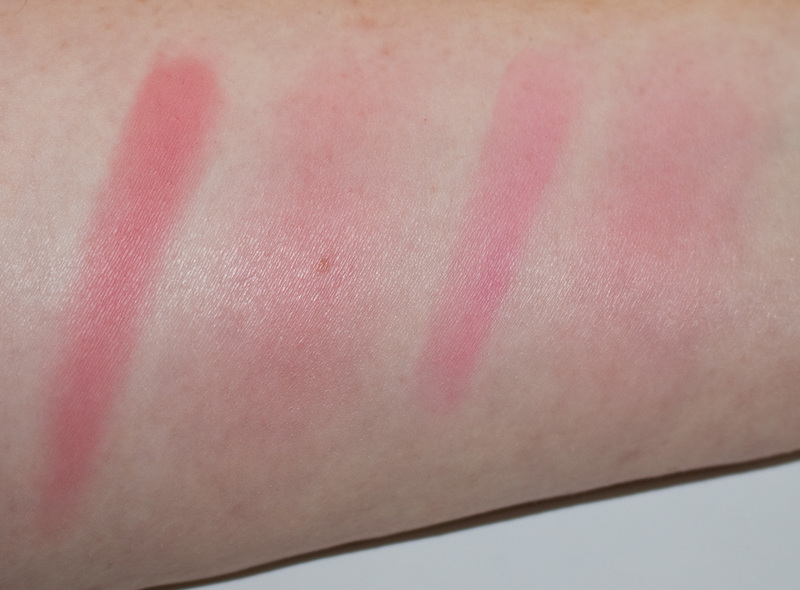 Daylight swatches: 18 Touch of Pink, & 43 Peach Blossom. 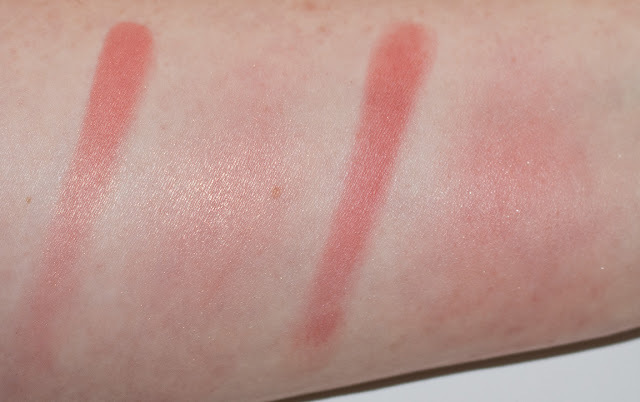 Flash swatches: 18 Touch of Pink, & 43 Peach Blossom. Daylight swatches: 38 Coral Sandy Beach, & 12 Redwood. 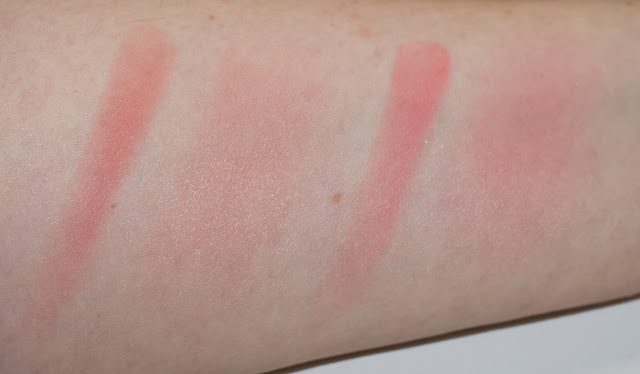 Flash swatches: 38 Coral Sandy Beach, & 12 Redwood. 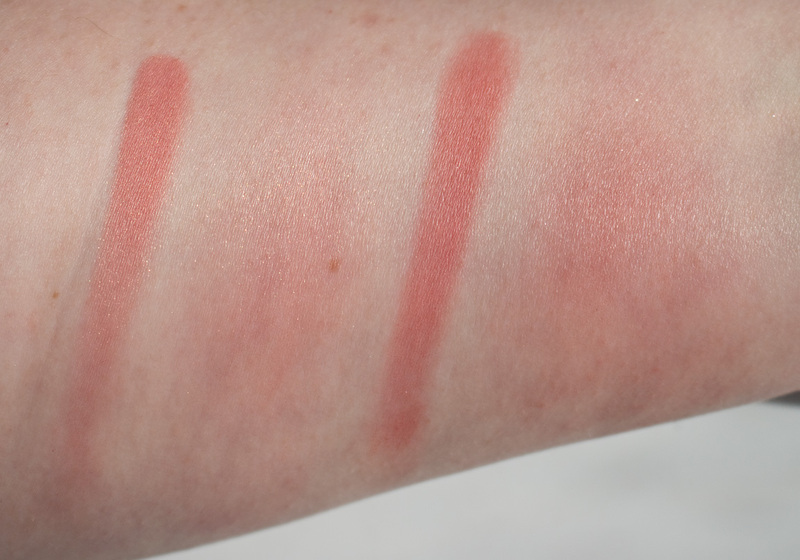 Daylight swatches: 42 Rich Sorbet, & 49 Passion Rose. 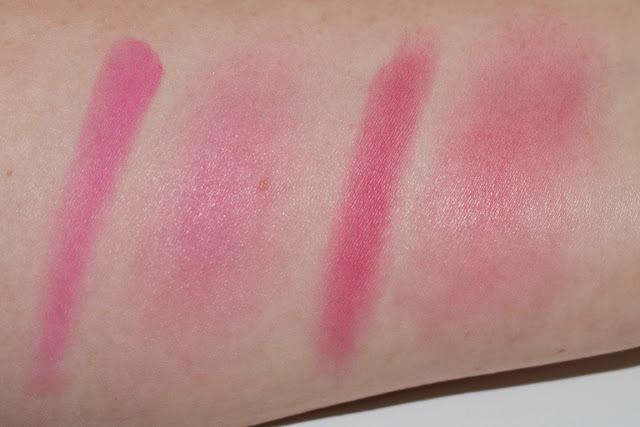 Flash swatches: 42 Rich Sorbet, & 49 Passion Rose. 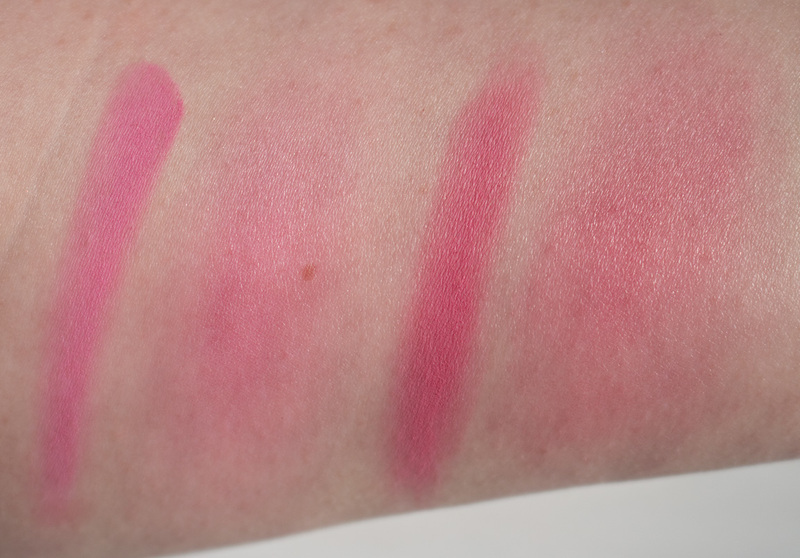 Daylight swatches: 48 Pink Beauty, & 41 Hot Rasberry. Flash swatches: 48 Pink Beauty, & 41 Hot Rasberry. These are a good formula offered by a drugstore line os makeup and there are more shades then these 8 to choose from the lineup. Out of the 8 shades 38 Coral Sandy Beach and 42 Rich Sorbet are my favourite for my skin tone.